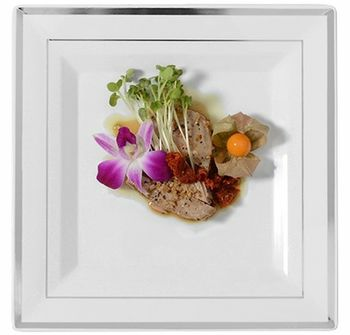 There is something about square plates that add sophistication to any party. 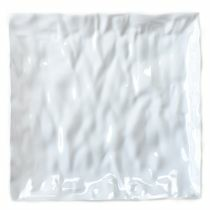 We have a large selection of square party plates that fit almost any occasion from birthday parties to anniversaries. These discount party supplies are a welcome change from the standard circular plates that you find at almost every other party. We have party plates of all colors and patterns, so you'll find the perfect match for your occasion. 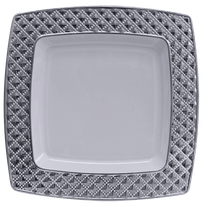 Square plates are elegant and unique additions to your party.